The two most critical aspects of any action figure in any scale are the head sculpt and paint job. If the portrait kills it, AND the paint work doesn't ruin it, almost everything else can get a pass. 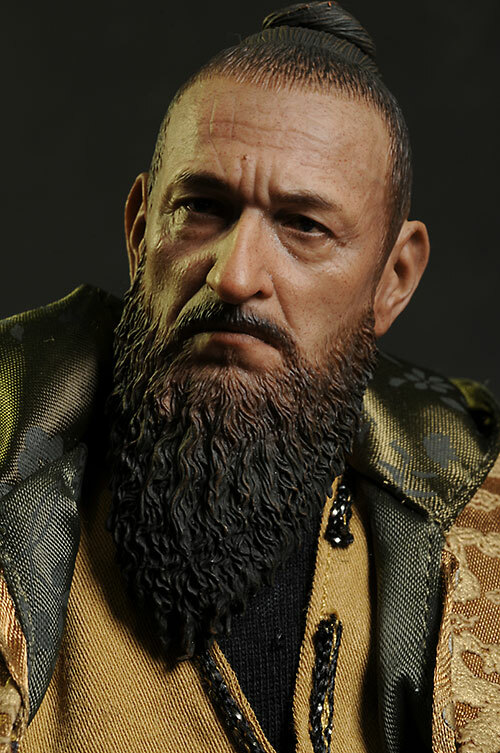 Hot Toys is the master of sculpt and production paint, and rather than merely look at the top ten portraits from any company, I thought they deserved their own list. I hesitated about calling this 'head sculpts', because it's not just about the sculpt. In fact, it's extremely hard to pull out a great sculpt independent of the paint application, and the two go hand in hand with every choice in this list. But I had to call it something and 'head sculpt' is pretty universally understood. 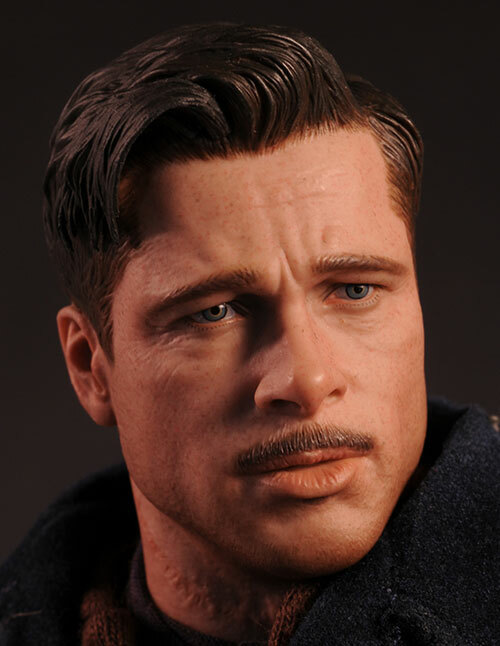 So just to be clear - this list is Hot Toys only, it's sixth scale only, and it's male only. I'll be doing a separate female list eventually, and that will cover multiple companies (although let's be honest - Hot Toys will dominate). I think that some of their best sculpts were lost on weak licenses. You'll see two out of the ten that I'd say qualify, and I can name several more, including the Joe Colton and the Barney Ross. 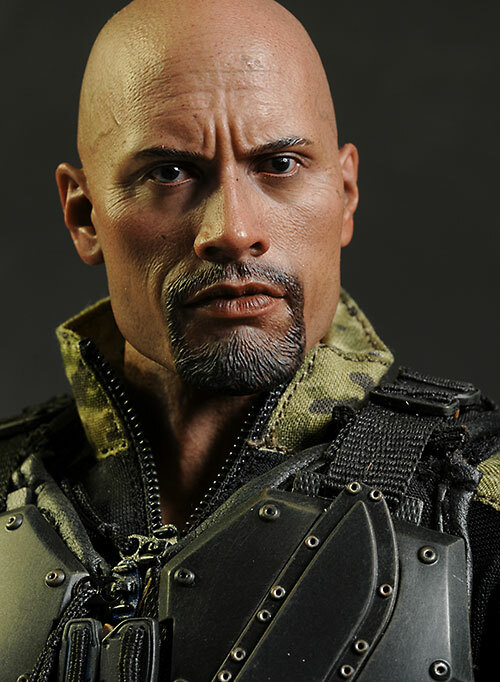 But the one that really stands out to me is the Dwayne Johnson portrait for the G.I. Joe Roadblock figure. Yea, it's not a great movie. The overall figure is another dude in modern combat wear. But the portrait is rocking the Rock, capturing a signature expression just about perfectly. I knew I needed a Terminator on here. 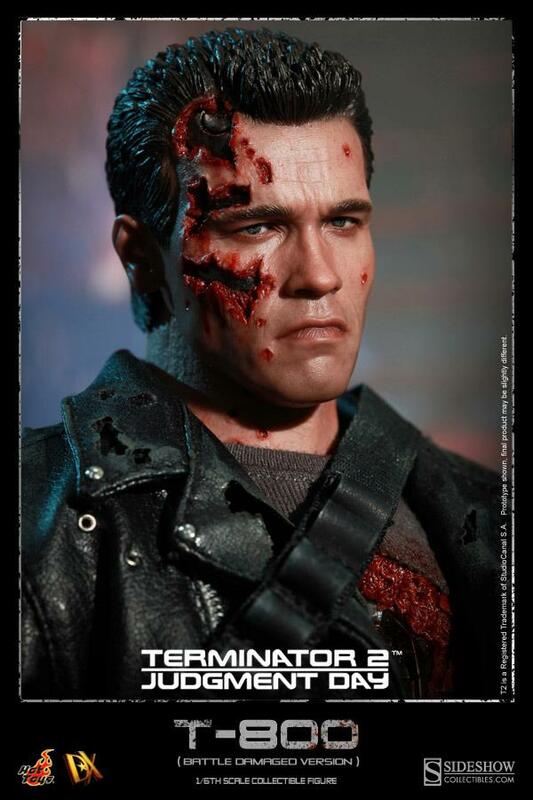 C'mon, Hot Toys has done enough versions of the Arnie character, and I've been thrilled with pretty much every one at the time. But looking back on it, I had a hard time saying any of them really deserved to be here. I think my personal favorite is still the DX10, but the DX13 is a slightly better Arnold. It's a bit of a tough call though, since the battle damage on both portraits obscures some of the actual likeness. The BD is done with amazing realism though, and this version is slightly less of a caricature. Like Roadblock, the Mandarin got lost in the shuffle of a weak movie (although not as weak as Iron Man 2). He got hit by a second whammy as well - the character ended up ten types of lame. If you can somehow find your way past all of that baggage, you'll see an amazing portrait of the character. 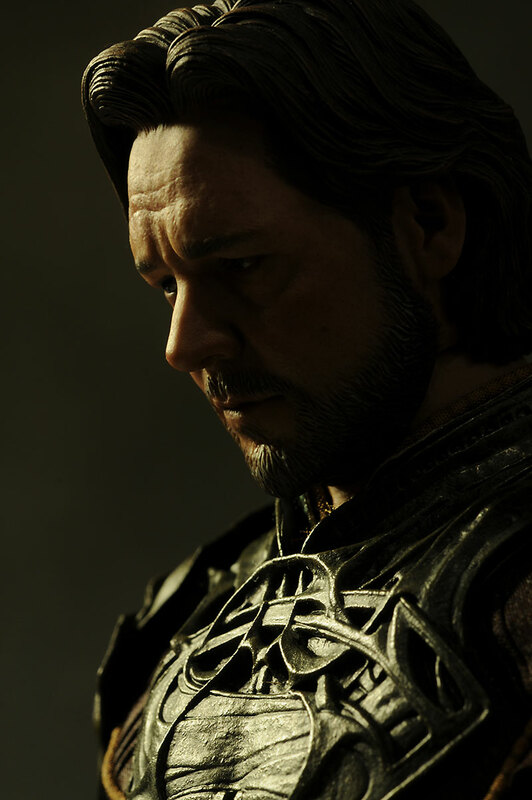 The detail work on the hair and beard is really impressive, and Hot Toys was starting to really click with the realistic skin textures at this point. You can argue that old people are easier to sculpt, because there's more 'character' in their face to work with. That's just a nice way of saying all those wrinkles and bags allow the sculptor to create a more realistic, less doll-like, portrait. I'd be willing to agree, but that doesn't make the final product any less amazing in appearance. And Stan is absolutely amazing. 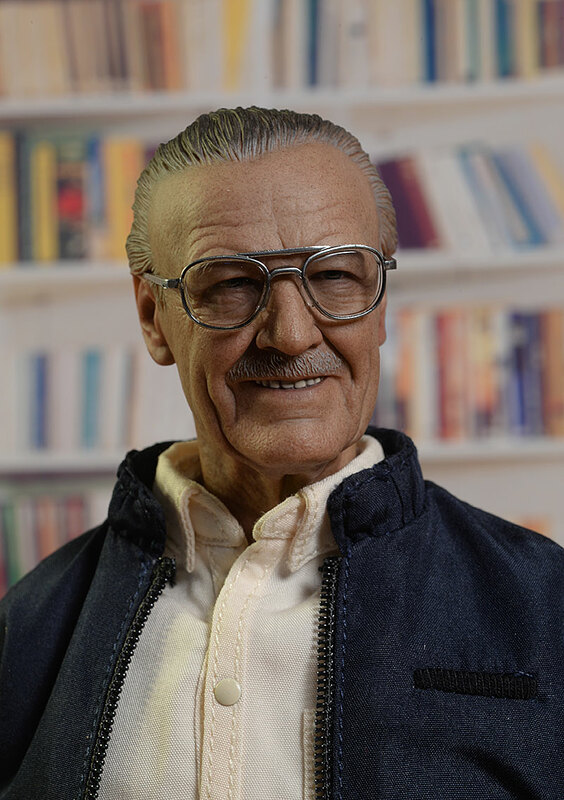 It helps that the glasses were properly in scale of course, but the combination of the skin texture and wrinkling along with the realistic teeth and a dynamic expression that suits the character resulted in one of their best likenesses in the last year. 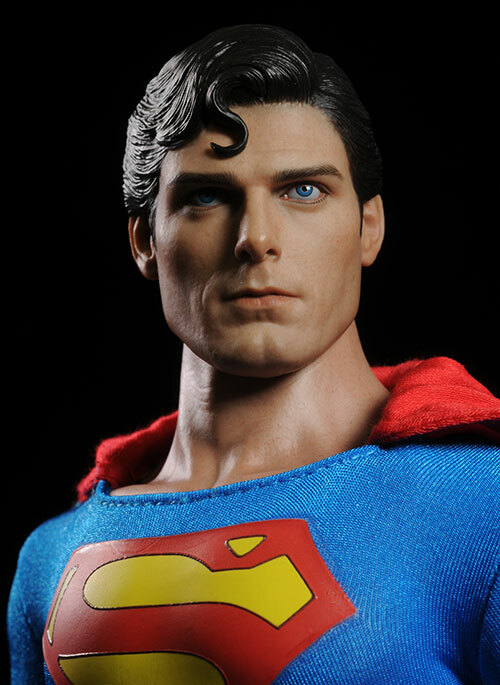 Back in 2011, they didn't quite yet have the crazy realistic skin textures going for them, but they still nailed this terrific Christopher Reeve Superman. Of course, his younger age helped, allowing the more subtle work on the face to create an appropriate look. They might eventually revisit this character, or another company may take their own crack at it, but I can't imagine feeling the need to replace this one on the shelf. 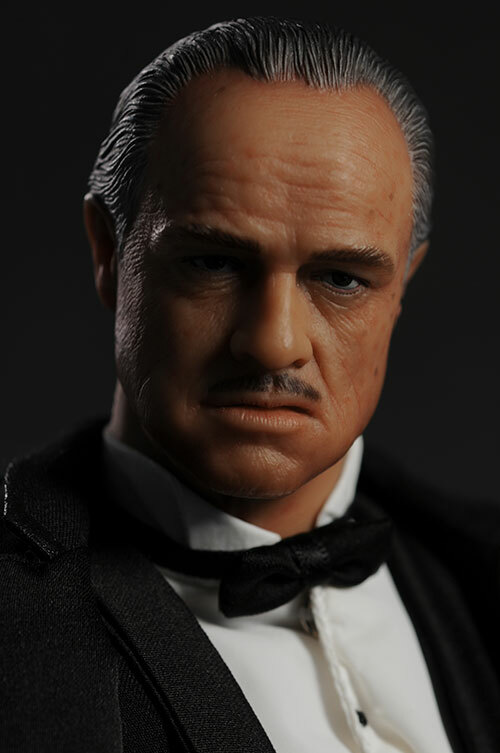 Hot Toys has produced several Jack's now, and they've had multiple heads, making for a variety to choose from. Like the T-800, this was a character I knew I had to have on the list, but which one? I really do love the Cannibal Jack for his goofy expression, but to be honest, he's showing his age when compared to more recent figures. It's the DX06 that's still the stand out for me, particularly the smiling, cocky portrait. No, there isn't the psycho skin texture, but like with the above Supes, his younger age makes it less of an issue. I have the new version on pre-order of course, but they'll need to go a long way to outdo this release. Like the Godfather, he still goes for serious money , although that might change with the new version next year. There were a few portraits before Aldo that were outstanding - you'll see one in the number 3 spot in a minute. But this figure marks a turning point in my mind for Hot Toys and their head sculpts. Prior to Aldo, they were still hit and miss. After Aldo, they seemed far more consistent in their quality, both with sculpt accuracy and with production paint applications. At the time, he just blew me away. It helps that both the movie and the character's overall look were great, but it was the Pitt portrait that set him apart. It's also one of those instances, like with Stan Lee, that the work on the neck mattered as well. Once upon a time, people bought Hot Toys figures thinking they'd get rich. Those days are generally long past, but there's still a few figures out there that command the serious bucks. Their Don Corleone is one of them, and I don't see that changing any time soon. I think this figure has their first really stand out, amaze-balls portrait. You can see that it doesn't quite yet have the detail of their more modern work, but it was miles above anything else on the market eight years ago, and it was quite a step up from even the majority of their own releases. Remember, this is the same period we got Harvey Dent and Dutch, figures that would be on my top ten list of most wanted remakes. The outfitted him well too, and he remains very much in demand on the secondary market . The winner of the 2015 Poppies for Best Male Action Figure in the 12 - 18" scale was this guy, and it was a well deserved win in a crowded field of excellent figures. I never did review him, but I do own him, and he is exceptional. Unlike some battle damaged figures, including the T-800 earlier on this list, the damage here didn't in any way obfuscate the beautiful likeness. 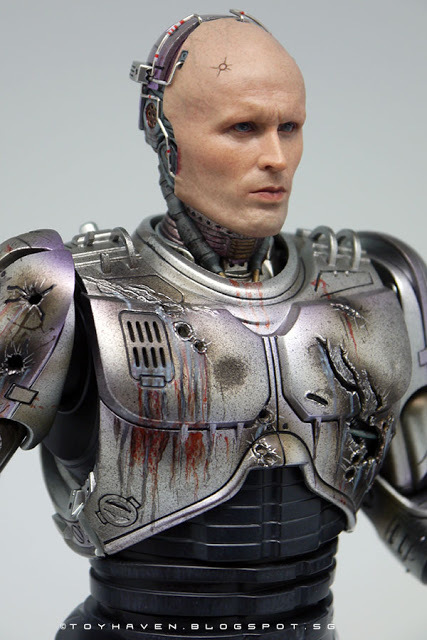 Every Robocop Hot Toys has done has been excellent, making this one the best of an overall fantastic line up. C'mon, you knew he'd win. 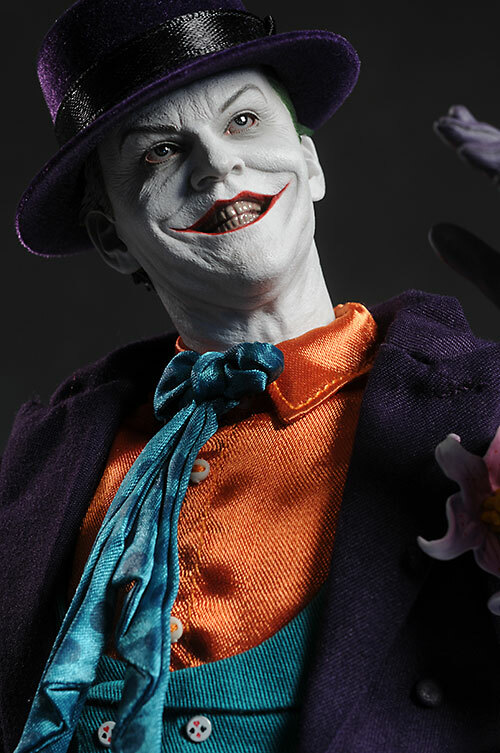 He was my top pick for Top Ten Sixth Scale Figures, and he was my top pick on the Top Ten Joker Action Figures list as well. No way he wasn't going to land here. The Mime Joker was great too, but it's the super realistic teeth and grin on this one that sets him apart. I bet you were expecting one of the Ledger Jokers somewhere on the list, and I have to admit my own surprise that at least the 2.0 version didn't make the final cut. Perhaps Hot Toys just did too many updates to set any one apart from the rest, at least for me. He's also still in demand , although not at the level of someone like the Godfather. I'm sure there's a few surprises here, most notably that I snubbed the Ledger Jokers. I love them, especially the DX11, but I don't love them quite as much as I used to. There's some others that almost made the cut, including underdogs like the Joe Colton (Willis), Sweeney Todd (their second best Depp portrait), or Jor-El, and some bigger names like Obi-Wan Kenobi. I'm betting some of your favorite characters have been treated right by Hot Toys as well, and of course, personal character preference can have a HUGE effect on a list like this. Captain Toy Picks...The Top Robot Action Figures! Captain Toy Picks...The Top Animal Action Figures! Captain Toy Picks...The Top Action Figure Vehicles! Captain Toy Picks...The Top Television (Live Action) Action Figure Lines! Captain Toy Picks...The Top Movie Based Action Figure Lines! Captain Toy Picks...The Top Underrated Action Figure Lines! Captain Toy Picks...The Top Action Figure Play Sets! Captain Toy Picks...The Top Ten Smart Purchases! 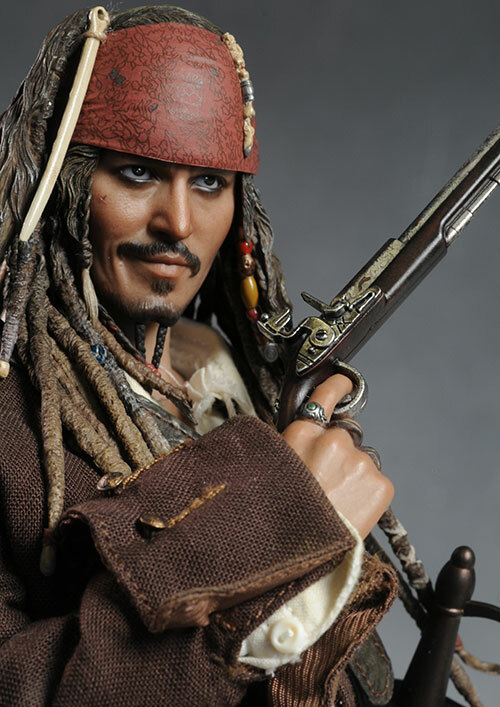 Captain Toy Picks...The Top Ten McFarlane Lines! Captain Toy Picks...The Top Ten Bad Action Figure Ideas! Captain Toy Picks...The Top Ten Toy Fair 2017 Reveals! Captain Toy Picks...The Top Ten Unproduced Action Figures! Captain Toy Picks...The People's Picks for Best of 2016!